MotoGP in Wales as soon as 2015? Most people were bemused when around a year ago plans were announced for a new international motorsports venue in the Welsh valleys. 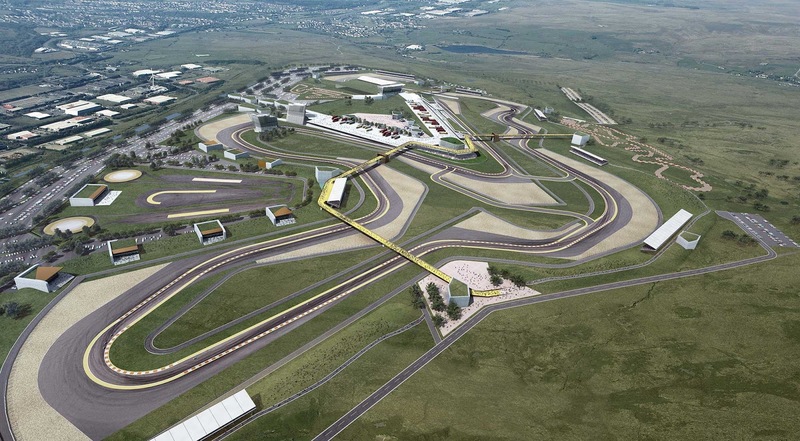 However the plans soon became very serious and now MotoGP bigwig Carmelo Ezpeleta has taken time out of his schedule to visit those behind the project and told local newspaper South Wales Argus that Dorna are already working with the Circuit of Wales and will continue to do so. Ezpeleta told the Argus, “It’s fantastic. I think this is a very, very important programme for MotoGP and for motorsport in general. It is good for the area and good for the people and the people behind it will have our help and whatever they need for the programme”. Some of Britain’s top superbike riders such as Chaz Davies and Leon Haslam have been involved in the design and planning of the circuit, which is set to cost £250 million and be built in Ebbw Vale. If ready on time, the circuit is hoping to bring MotoGP to Wales as soon as 2015. The question is, would it become the second race in the United Kingdom or replace the current Silverstone round? Let us know what you think by adding a comment below. I'm not sure why people should be bemused. World class circuits are built in other countries regularly. I think it's good someone is showing ambition and recognising the positive impact motorsport can have on the economy, local and otherwise. Personally I think that this circuit will be more accessible to more people so can only be a good thing, even if it does replace the current round rather than run alongside it. Absolutely fabulous aslong as it goes ahead. Up until now there haven't even been any plans submitted tour local council, but a lot of dosh has been spent on local seminars, so it is looking good for us so far. http://www.wirelessinternetrouters.co.uk. The router will have good wifi speed and connectivity. We are getting the signal everywhere in home in all rooms.